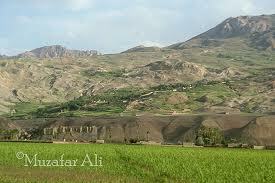 Bamyan Province is still a pocket of relative tranquility in Afghanistan. But things get dangerous for locals when they have to travel. All roads into and out of the province must run a Taliban gauntlet. Bamyan’s reputation as one of the safest places in Afghanistan has been dented over the past year by several bursts of Taliban-inspired violence, including the August deaths of three New Zealander soldiers in a roadside bombing. Even so, many provincial residents insist that Bamyan center, along with the nearby districts of Yakawlang, Panjao, and Waras, as well as the neighboring province, Daikundi, remain almost completely insurgency free. Residents also state that the recent acts of violence in northern districts, including Kahmard, Sayghan and Shibar, are restricted to certain valleys and villages that have always been troublesome. In the northern districts, the villages and valleys where incidents have occurred are populated by ethnic Pashtuns and Tajiks. In the relatively peaceful areas, the predominant ethnic group is Hazara, people who are mainly Shi’a and who suffered persecution under the Taliban in the late 1990s. Today, Hazaras remain antagonistic to Taliban attempts to regain influence in the province. While many feel relatively secure at home, all residents are afraid to travel because the regions surrounding Bamyan are becoming increasingly unstable. Bamyan does not have commercial air service, meaning that only those who are working for a development or aid organization can secure a place on one of the humanitarian flights into the province. All others must take their chances on roads. When traveling to Kabul, there are two options. The northern route goes through the restless Ghorband District of Parwan Province, while the southern route goes through the volatile Jalrez District of Maidan Wardak Province. During my past three years traveling to Bamyan, local opinions have shifted back and forth concerning which route was more dangerous. Initially, insurgents seemed to target only those who were government figures or who were working for international organizations. On July 3, 2011, for example, Jawad Zahak, the head of the Bamyan Provincial Council, was kidnapped by Hizb-e-Islami militants and beheaded in Ghorband. This was a strong blow against Hazaras, and it significantly heightened public fears about traveling on the road. Taliban informants occasionally watch the shared taxis from Bamyan to Kabul, or vice-versa, that leave each day, local acquaintances tell me. One one occasion, when I needed to travel to Kabul by road, I was advised that I should wear a burqa, and have a trusted friend arrange my trip, claiming that I was a sister needing to travel alone. Luckily, in this culture, as a woman I was not expected to engage in conversation with fellow passengers. Several people related experiences that confirmed such precautions were wise. One, Ali, working for an international organization in Bamyan, was in a mini-van stopped by the Taliban at a roadblock. They went directly to his seat and asked him to get out of the vehicle. They then asked him where his glasses were, as the person they were seeking was reported to wear glasses. Deciding cooperation was the best tactic, he showed them the glasses in his front pocket. He was held for ransom for several months before being released. “They knew exactly where I was sitting, what I was wearing – clearly someone informed on me,” he stated. Another, Jawad, who also works for an international NGO, was making the same trip when he had a feeling something was not right. He got out of the van and hitched a ride with a truck carrying sheep. Later, the driver told him that Taliban stopped the vehicle, and searched for him, showing his picture to the other passengers. Perhaps most alarming is a newer trend that seems to be developing, in which Hazaras are targeted for simply being Hazara. This summer, eleven civilians were tortured and beheaded in two separate incidents, about a week apart, in Jalrez District. And more recently, in Ghazni province on October 27, five Hazaras were pulled from a van and executed by Taliban militants. Although Ghazni has long been considered a dangerous province, this incident is part of a larger trend in which Hazaras are killed because of their ethnicity, and not because of any affiliation with international organizations or the Afghan government. Hazara leaders in Kabul have recently become more vocal on this issue. Haji Mohammad Mohaqiq,a current MP and leader of the Hazara-majority Hizb-e-Wahdat party, made a speech early in October demanding that road security be increased. Not long after, Karim Khalili, second vice-president and another Hizb-e-Wahdat leader, made similar security demands, and called for a promised highway from Kabul to Herat, via Bamyan, to be completed. For many in Bamyan, these seem empty gestures. Civil Society activists staged a demonstration in response to these speeches, demanding follow-up, but received little attention from politicians in Kabul. Meanwhile, the perils of road travel remind Hazaras that when international troops withdraw in 2014, they could very well once more be at the mercy of the Taliban.